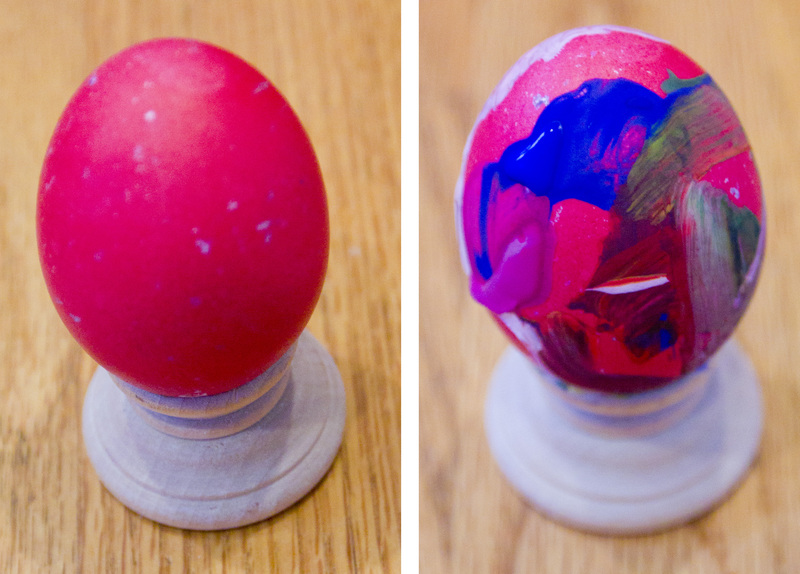 The Egg decoration would not be complete without some good old-fashioned finger-painting. Just color the eggs and let you little ones explore the paints, mixing of the paints, how they look on different colored backgrounds… the results may pleasantly surprise you (plus it is not difficult or scary for the little ones… and it is fun to paint on 3D object). This entry was posted in Art Projects and tagged art, ArTree, easter, egg, fingerpainting, kids, project. Bookmark the permalink.